With around 36 million visitors a year, Paris continues to feature high on many people’s travel bucket list. But beyond the City of Lights are enchanting castles, medieval villages, secluded vineyards and even exotic islands. Embark on a unique journey through La Belle France to the most beautiful and memorable places that not even all the locals know about. The Loire Valley boasts over 100 castles, the most famous of which date back to the 16th century. 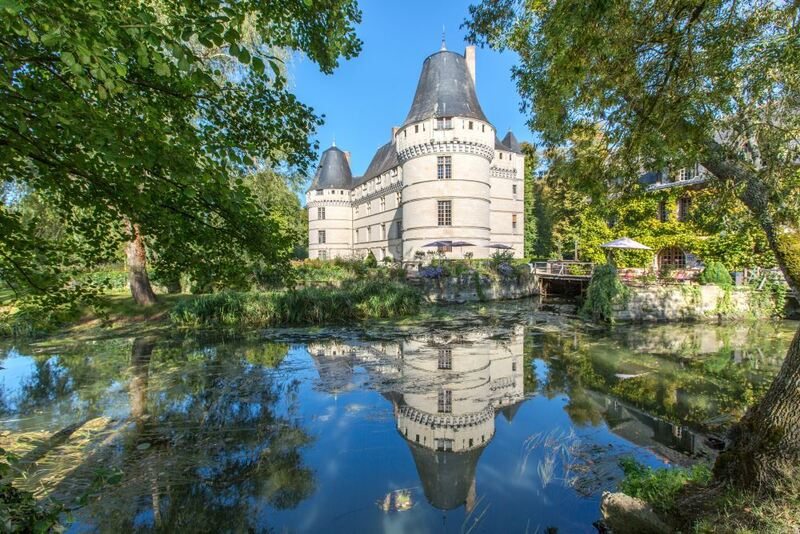 For the chance to explore a privately-owned castle which is still lived in today, the charming Chateau de l’Islette is just a mile from its famous neighbor, Chateau d’Azay-le-Rideau. This is a wonderful opportunity to enjoy your own castle with a loved one on a sunny afternoon without having to share it with huge numbers of tourists. It’s easy to understand how the beauty and seclusion of this Renaissance castle might have inspired the great love affair between 19th century French sculptors Auguste Rodin and Camille Claudel. The best way to enjoy L’Islette is to bring a picnic to enjoy on one of the many sun loungers or picnic tables scattered across the pretty grounds. If you’re traveling with children, they will be able to borrow princess or knight costumes to spark their imaginations as they explore the castle. Although the castle still has many of its original features, there are a number of interesting modern adaptations, including the two-meter thick bedroom walls which were structurally modified to accommodate a shower and sink. It is open to the public from May through September, and the owner can often be found fishing in the Indre river. The lovely town of Beaune is the capital of Burgundy wines. It is also home to the most aromatic and delicious type of mushroom, the truffle. 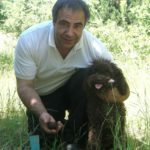 It only grows in the wild and in the vicinity of specific types of oak trees and is so elusive that it requires trained dogs to help find them. Some tours offer truffle hunters the opportunity to bring their treasure back to the kitchen after the hunt and enjoy a gourmet lunch made from truffles, from starter to dessert. Beaune offers a treat for the taste-buds on every street corner, from the famous Fallot mustard to the secret recipes of the last house of Dijon gingerbread makers, Mulot & Petitjean. After a visit to a spectacular fromagerie (cheese shop), visitors will be spoilt for choice as they contemplate which of the dozens of wine cellars to visit to quench their thirst. Step back in time and explore the enchanting grottoes of Dordogne. At the time of writing, Font-de-Gaume was the only site in France containing polychrome cave paintings still open to the public. The paintings date back nearly 20,000 years to the Magdalenian period. This is a true jewel and the fact that they limit the amount of visitors each day will make your visit even more special. Nothing can quite prepare you for the breath-taking sight of the bison upon the cave walls. Although advance tickets can be booked by travel agents for tour groups, it is no longer possible to purchase individual tickets in advance for Font-de-Gaume. As there are only a limited number of individual tickets available to purchase from the ticket office on the day, be sure to arrive early to guarantee your entry. A visit to the nearby Combarelles caves is also highly recommended. 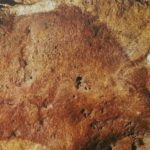 These contain more than 600 engravings of animals and symbols from around 12,000 years ago, when the caves were inhabited by the Cro-Magnon people. At around 980 feet long with an average width of 3.3 feet, Combarelles may be the closest you ever come to feeling like Indiana Jones! 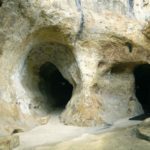 An alternative to these original caves is to visit one of the fantastic cave replicas half an hour’s drive away at Lascaux. Keen cyclists and wine lovers can enjoy both on the cycle route which winds through one of France’s great wine regions along the Garonne and Dordogne rivers. Travelers will delight in exploring the vineyards in the historic town of Saint Émilion, first planted by the Romans in around the 2nd century AD. Cross the Dordogne River and cycle toward Bordeaux, one of the most cycle-friendly cities in the world. A bike tour is a wonderful way to explore the city and the nearby Entre-Deux-Mers vineyards at a leisurely pace. Follow the Garonne River south to the vineyards at Sauternes. At the Chateau Gravas, the castle owners are very welcoming and visitors can admire the beautiful artwork and sculptures on display throughout the winery as they try a variety of dry and sweet wines. 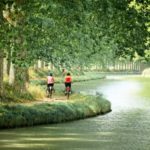 The cycle route will lead back toward the rolling valleys and wetlands bordering the Garonne river, which will accompany you up to the final stop at Médoc. Some believe that the finest Bordeaux wines started their lives near the banks of the Garonne River. There are many good wineries to choose from in this area, such as Pontet-Canet castle, which has returned to using traditional, organic and biodynamic cultivation methods which are gentler on the surrounding nature and on the grapes themselves. Discover the freshest produce of Provence at the farmers’ markets and pick up a few souvenirs while you’re there. On a Monday, you will find handicrafts and farmer’s produce at Bédoin market on the slopes of Mount Ventoux. As this market is relatively unknown, it has retained an air of authenticity and is one of the best Provençal markets, still frequented by the locals. 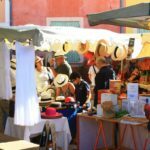 On Tuesday, visit the market at Vaison-la-Romaine. It is one of the largest and most vibrant in Provence, where the best farmers and producers in the region have gathered to sell their products nearly every Tuesday since 1483. One of the region’s most famous markets is in St Remy de Provence, a perfect plan for a Wednesday, but in July and August be sure to arrive before 7am to secure a parking spot. Try the Thursday market in Nyons, where the local olive growers claim to sell the best olives in France, and visit the colorful Carpentras market on a Friday morning. Pernes les Fontaines, a lesser-known town with 41 fountains has a lovely, very authentic market on a Saturday. For the final stretch of the market marathon, be delighted by the food and antiques market in L’Isle-sur-la-Sorgue, a popular tourist spot but nonetheless well worth a visit. While many markets are only open in the mornings, there are also a number of evening markets open at certain times of year. 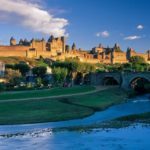 Carcassonne is the most impressive fortified medieval town in Europe and is located just an hour’s drive east of Toulouse. It has been inhabited for thousands of years, lying at the center of historic trade routes between the Atlantic and the Mediterranean Sea. After exploring the winding alleys and passageways of this medieval fortress and UNESCO World Heritage site, enjoy eating a cassoulet, a regional favorite. This hearty casserole filled with meat and beans was historically a ‘peasant’s dish’, designed to sustain its consumers through a hard day of labor (and nowadays, tourism!). It is delicious served with a rich, savory, red Minervois wine. Mention the French Riviera, and oftentimes it will evoke images of the glitz, glamour and beaches of Nice, Cannes and Monaco. But venture away from the busy coast to discover some stunning scenery and local artisanal and culinary offerings. 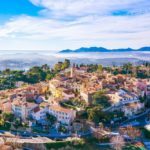 Just 15 minutes’ drive north of Cannes you’ll find the tiny village of Mougins filled with independent, upscale art galleries. Here you can appreciate work by local artists and by the Masters – Picasso, Matisse, Chagall, Cézanne and Dalí, to name but a few – away from the big tourist crowds. A must-visit for art lovers! Continue half an hour north up to Gourdon, a quiet village perched on the edge of a rocky spur that juts out about 500 meters directly above the Loup river, with some spectacular scenery. The village is full of little boutiques with perfume products, and you may meet a local glassblower who creates intricate masterpieces (and loves to talk!). Those with a sweet tooth must try the candied fruits at the Florian Confectionary (our favorite is the chocolate orange) on the way to Tourrettes-sur-Loup, an artisan’s village with medieval and Roman features. Tourrettes-sur-Loup is famous for its violet production and confectionary, and boasts a 1 Michelin Star restaurant called Clovis: the perfect place to end the day. Spanning the border between France and Spain, the Basque country has its own unique heritage and culture and is a fascinating region to visit. The locally spoken language is Basque or Euskara, though French and Spanish are also widely spoken. 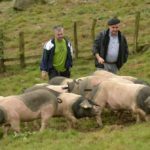 The Basque Country is famous for its unique breed of pig, the Euskal Txerri or Basque pig, which is ideal for making cured Bayonne ham. At La Ferme des Aldudes, visitors walk along a mountain trail to meet the local pigs and their piglets, and will often encounter the impressive wild Pottok horses and Pyrenees vultures too. After their walk, visitors can enjoy a delicious cold-cut platter back at the farm, washed down with some local Irrouléguy wine from one of the smallest vineyards in the world. 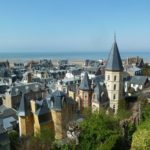 Among the popular coastal areas in Normandy, such as the D-Day landing beaches and the town of Deauville, famous for its annual American Film Festival, are a few hidden gems which offer a pleasant escape from the tourist crowds. Trouville-Sur-Mer is Deauville’s more low-key, laid-back neighbor and boasts the best fish market in the area. Down at the beach, visitors can stroll along the boardwalk and admire the beautiful 19th century beach villas which elegantly line the sea-front. Normandy has been a source of inspiration for many of the great impressionist artists. Most travelers will have heard of Monet’s garden at Giverny, which appears in many of his most famous pieces. However, many would struggle to name the place that inspired another of France’s revered landscape artists, Eugene Boudin. Head up the coast from Trouville-de-Mer and you will no longer be left guessing. The town of Honfleur is tucked away on the southern side of the Seine’s estuary. Its picturesque port was the subject of many of the paintings on display at the Eugene Boudin museum, just a few blocks from the harbor. About 170 miles off the coast of southern France lies the French island of Corsica. The birthplace of Napoleon Bonaparte, Corsica became a part of France in 1768, having previously been a part of the Republic of Genoa. The crystalline Mediterranean waters of southern Corsica make it an ideal place for scuba-diving, and Mérouville (‘Grouper town’, not far from the town of Bonifacio) offers the very special experience of swimming with the resident Grouper fish. 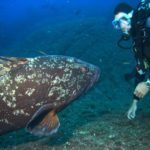 A family of around 30 Grouper fish has made this area their home and are now so accustomed to visitors that some will even allow divers to stroke them. This unforgettable experience is available for Level 1-certified scuba divers, but a Level 2 or Level 3 autonomous diver certification is recommended in order to get the most out of the experience. The rest of this paradisiacal Mediterranean island can be explored by car, though with its daring drivers and winding roads, this may not be for the faint-hearted. A more tranquil way to discover Corsica is to hire a sailing boat and navigate around the island. 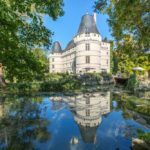 This article was written by Émilie Thyebaut, who runs a self-drive tour business, France Just For You, based out of her home in the Loire Valley. For each tour, Émilie writes a unique 250-500 page guidebook with tips and information on France’s loveliest hidden gems. Absolutely amazing photographs and useful information for visiting these lovely places in France and thank you so much for the tips.